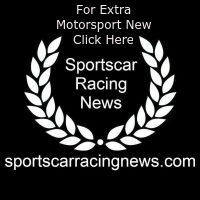 The Racers Group, one of North America’s winningest sportscar racing teams, has an action-packed weekend coming up as the team returns to the scenic coastline and rolling hills of the Monterey Peninsula. The famed Laguna Seca circuit plays host to the 3rd Intercontinental GT Challenge, California 8 Hours race and the Pirelli GT4 SprintX West races March 28-30, 2019. With four talented drivers in the 2 GT4 SprintX races on Friday and three more gridding up for the 8-Hour Race, it’s going to be an action-packed weekend. The event welcomes racing teams and drivers from around the world to California’s Central Coast and it is sure to be an exciting weekend for our drivers, crew and fans alike. Chris Bellomo started his racing career in 2017. After a few local track days with a good friend, he was hooked. A 3-day SCCA school sealed the deal. That led to several SCCA races in a Spec Miata, which then led to his coach introducing him to TRG and his current Porsche Cayman Clubsport MR. Chris started racing his Porsche when he joined the Pirelli Trophy West USA Series at the start of 2018. During the year, Chris garnered 9 Silver Class victories and the season championship. Most recently, he won the GTD class at Rennsport and broke the PCA Racing GTD class qualifying and race lap track records at WeatherTech Raceway Laguna Seca. Robert Orcutt has been coaching Chris since his first track days and that relationship has been instrumental to Chris’ early success. Kevin Woods, a California Native, discovered his original need for speed at the age of 10 from his father who used to race at the local drag strip. He wouldn’t actually begin his own motorsports journey until the age of 38, but despite the later than usual start, he was motivated and competitive from the very beginning. During his maiden race weekend at Weathertech Raceway Laguna Seca, Kevin got his first taste of victory. From there he would go on to win an open-wheel championship driving a Pro Formula Mazda in his first full season of competition. Since then, Kevin has been honing his motorsports racing skills in the Pirelli Trophy West USA series where he made a strong name for himself with an impressive tally of podiums, wins, and championships including a spectacular 2018 Season where he racked up an incredible 10 victories and the Diamond Class Championship Title! Jason Alexandridis began his racing career in early 2011 with NASA in the 565NorCal Spec E30 class. HE first tested the V8 Vantage GT4 with The Racers Group at Sonoma Raceway in 2015. His professional debut was the 2015 Pirelli World Challenge. The Racers Group Is thrilled to welcome Jason back for the 2019 season. Jason’s competitive spirit is evidenced by his military and civil career. While serving in the Navy as a hospital corpsman to fund his education, he played on the All-Navy Volleyball team. College followed at San Diego State where he continued to play indoor and beach volleyball. Post graduation, Jason spent 15 years in the Silicon Valley tech industry working for giants such as Excite@Home, eBay, Autodesk, and Salesforce.com. Simultaneously, he purchased and remodeled apartment buildings, condos, and single-family homes. This same work ethic and passion drove Jason to start his own business in 2015 — Rebounderz Trampoline Park and Family Fun Center in Rohnert Park, CA in early 2015. The entrepreneur now has more time to spend with his wife, Maggie, and their two children, Jace and Cassie. The Racers Group Founder and CEO, Kevin Buckler, had this to say for the 2019 full season entry, “This is a big weekend for us and we are going “All-In” stated team owner Kevin Buckler. We have a great lineup with Chris and Kevin Woods in the 67 car and Dr. Jim and Derek in the 17 in the 2 SprintX races. Derek knocked it out of the park today and qualified on the pole for his race. Then, Chris, Spencer and Jason Alexandridis are together for the Cal 8 Hours race on Saturday. This is going to be really cool and really exciting for everybody. They are all fantastic drivers and terrific teammates to each other and to TRG. Spencer has been a natural addition since returning to TRG for the Cal 8 Hours race last year and Jason returning to TRG to join Chris and Spencer this year just feels right. 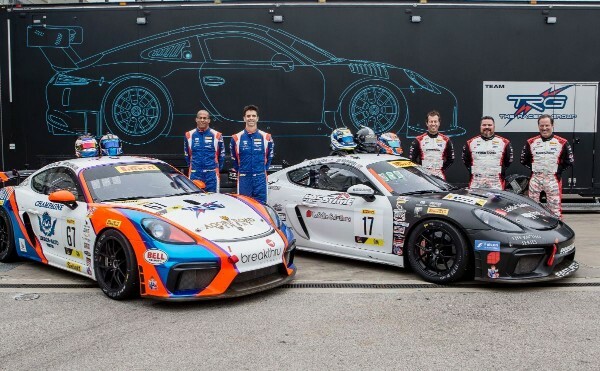 What an amazing racing platform has been created here with Greg Gill and his team from Pirelli GT4 America, and now with the addition of Stéphane Ratel and his world-class SRO racing organization. We have discussed this at length and all agree that GT racing is the way to go and I am so appreciative and supportive of the fantastic racing platform they have given us here in North America, and now globally, with this partnership.